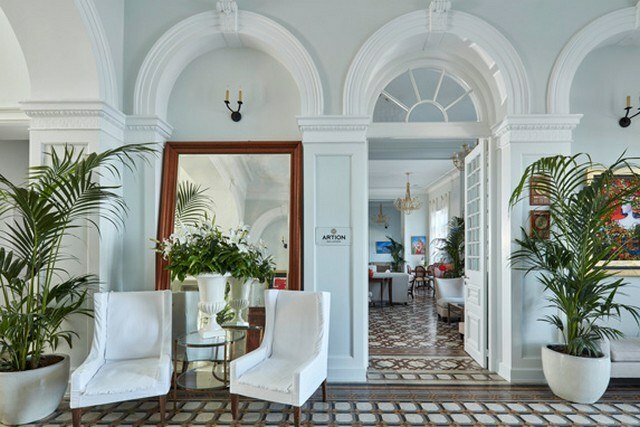 What has made the island of Spetses famous, which is for Athenians a « chic » destination appreciated by high society but also by jet-setters, is the presence since 1914 of a majestic hotel establishment, the Poseidonion Grand Hotel. Inspired by the most beautiful palaces on the French Riviera, such as the Carlton in Cannes (1911) and the Negresco in Nice (1912), its owner, Sotirios Anagyros, returned home after making his fortune in tobacco in the United States and had it built. An elegant building built directly on the port facing the sea, this magnificent hotel has just been completely renovated to combine the appeal of a high-end establishment with contemporary comfort, with the elegance and splendour of a historic palace. 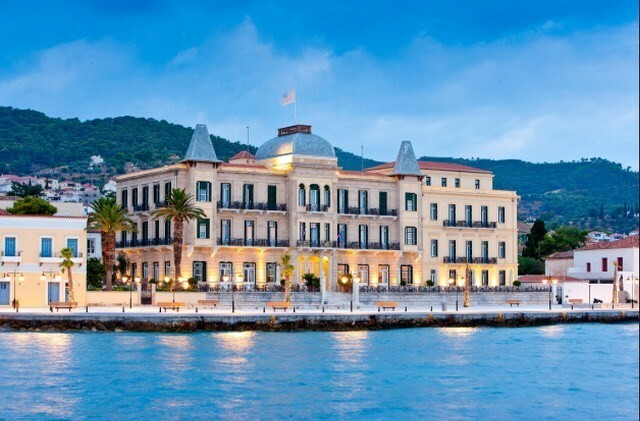 For more than a century the Poseidonion has been the symbol of the island of Spetses, which is considered by many to be the heart of the Greek Riviera. 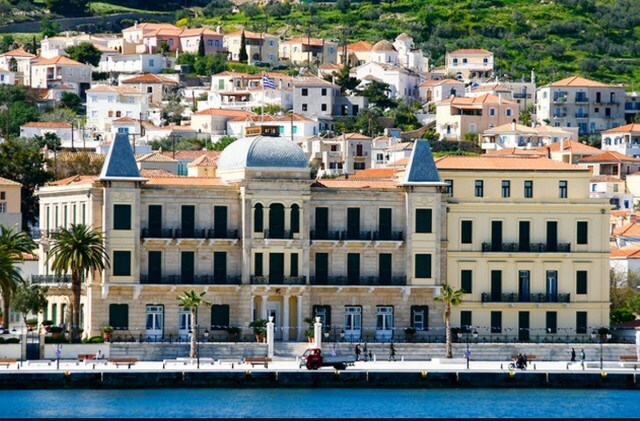 Historically, Spetses was one of the first cities to launch Greece’s war of independence to escape Ottoman rule. Its sailors contributed greatly to the defeats of the Turkish fleet and on the port the statue of Laskarina Bouboulina reminds us that this legendary national heroine was originally from Spetses. Spetses is a small Greek island with an indefinable charm, unlike any other. It is forbidden to drive in a private car here. For tourists, the discovery of the island is done on foot or by horse-drawn carriages. Shuttles by small taxi boats can reach the main beaches. You can also use the local bus network. And for those who would like to visit the island at their own pace there are also bike and motorcycle rental companies. 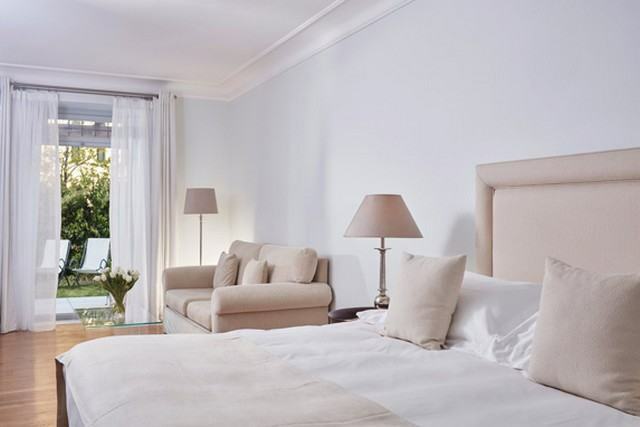 Ideally located about 100 meters from the ferry arrival dock the Poseidonion has no less than 44 large upper and Deluxe bedrooms and 8 suites. Among the latter, the Royal Suite adds to its 3 bedrooms a private terrace of 85 m2 with a sea view, while the Cupola Suite occupies the entire top of the hotel’s central dome on 2 levels and enjoys 90 m2 of private terrace, a truly unique suite. As for the Pool Suite, as its name suggests, it has its own private swimming pool. The rooms are large, comfortable and very elegantly decorated. Most of them have balconies or a terrace. The 30 Deluxe-sea-view and Superior-garden-view rooms are between 30 and 36 m2 while the 14 other rooms, Deluxe-sea-view and sea-view-side, are about 25 m2. « The Verandah » is the award-winning restaurant of the talented chef Stamatis Marmarinos who offers every evening a brilliant contemporary Greek cuisine often inspired by traditional recipes that uses many local seasonal products directly from the hotel’s organic farm. 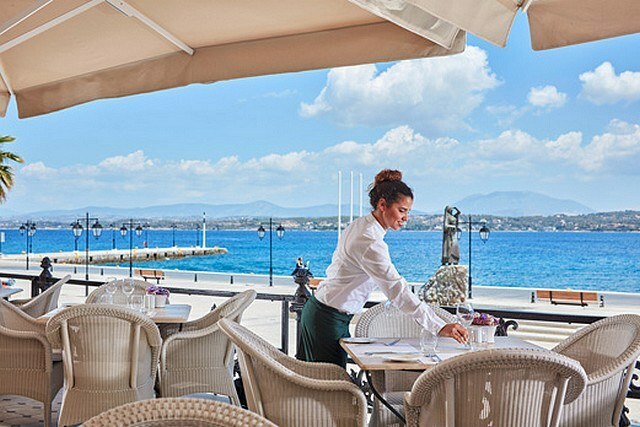 The Library Brasserie is open all day long and its outdoor terrace is a perfect place to enjoy the Mediterranean climate under the sunshades while admiring the comings and goings of everyone on the main square that borders the quay. The terrace of the Palms, the hotel’s bar, is the ideal place to test delicious cocktails. The hotel’s swimming pool, reserved only for residents, and the Asian Spa are two additional assets of the Poseidonion. The Spa offers a wide range of facial treatments and treatments, plus a beautiful list of Greek and Oriental massages as well as a wide choice of Ayurvedic massages. The products used are supplied by « ila », the very select 100% organic product brand and particularly involved in fair trade with individual small producers around the world. To reach Spetses from Athens, there are two main options, by sea (52 nautical miles) or by road via the Peloponnese. The first is to board one of the hydrofoils that connect the port of Piraeus to Spetses several times a day. The journey takes between 1h30 and 2h30 depending on the number of stops on the other Saronic Islands (Aegina, Poros and Hydra).